Time is running out to win one of the multiply signed copies of The invisible thread. Anyone from anywhere can enter as the editor and donor of the copies, Irma Gold, and I have agreed to quarantine one copy for an overseas address, and the other for an Australian address. 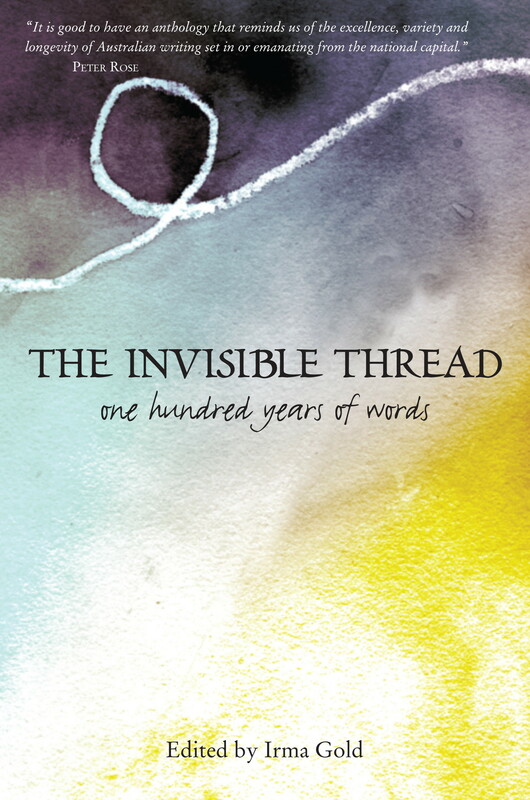 To read more about the book – gorgeous centenary anthology, The invisible thread, edited by Irma Gold – click on the following links to see my post on its launch, my review, or my description of the beautiful Woven Words event inspired by it. How to enter: Leave a Comment on this post, and state which country you live in so I can place in the right giveaway group. I’d love to hear why you’d like to have the book – but it’s not essential. The Invisible Thread sounds fascinating and completely different from everything I have read recently (the reading list for my next literature course). Please enter me, I am in the UK. Great Ceri Kay … You are in. Thankyou so much for your regular and varied book reviews. As a writer and avid reader, I appreciate another’s opinion and I make a note of the many books so that I can order them through my local library (Inter Library Loan). I would love a copy of Irma Gold’s, The Invisible Thread, for my personal library and as a reference of technique when struggling with my own writing. Hi Rosemary that’s great … Can you just say which country you are in please? Done! I think? Memory like a sieve these days..
Never hurts to double check Catherine … But your memory was right … You are already in. A chance to read another Aussie book (so many that I can’t find here!)? Count me in. U.S.A.
Great Diane … Glad to add you to the list. Your review says this is delicious and rich – YUM! It sounds like a great way for me to get to know an area of the world with which I have zero familiarity. Thanks so much for the chance to win.Oh – and I live in Canada. Thanks Debbie … Would be happy to see this go to Canada … You’re in! Sounds like an excellent addition to my education as an American about Australia. Great Marilyn … Happy to add Texas, USA, to the list. Loved to learn more about Australia.as an American I would love to visit. Always love to hear people wanting to learn more about Australia … So you’re in with a chance, Rhonda! Thanks for the giveaway. I live in Ghana. Trying to get lots of Aussie books to read. Great Kinna … You’ve made it in time … Glad to add you to the list.